Female Orang Utan (Pongo pygmaeus) [Sandy, born 29.04.82] sitting, holding two young. 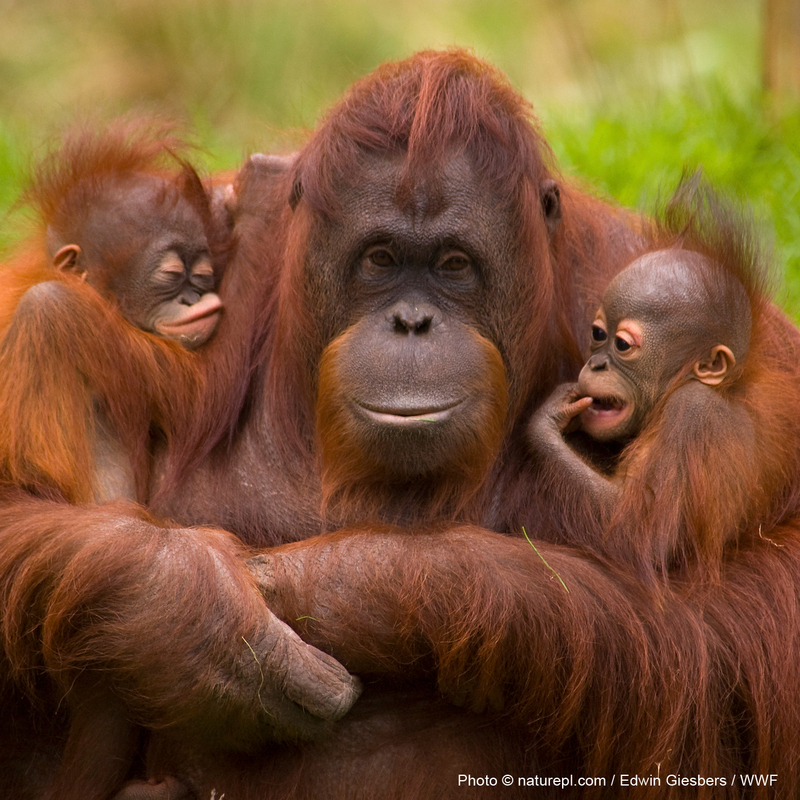 One [Samboja, born 09.06.05] is her own offspring, the other [Dayang, born 01.12.05] was rejected by its birth mother, and so this female has adopted it. Captive, Netherlands.